The newest update on the Snapchat app claims to be, “a whole new way to explore the world”, but it is definitely risking young children to be visible to predators. It’s called Snap Map, and it’s creating a whole new discussion about Location Privacy and Social Media. What it is: Snapchat has always had local stories, “Our Story”, where people could post to a kind of public video forum. Posting to “Our Story” now also allows users to view on a map where all of these local stories are being captured. You can track any of your friends on Snapchat that have Snap Map turned on. Users appear at “Bitmojis” of themselves. These animated figures are customizable, and do not necessarily reflect the actual appearance of the user. The update is currently under much editorial criticism, and for good reason. Why You Should Care: The location is *very* exact. States, Counties, Cities, Apartment Complexes, Snap Map will be able to see where your child is sitting in your house while they use the app. It goes as far as showing your friends in an animated car if they are traveling somewhere. Not only is this a HUGE privacy risk, it enables predators to groom your child using their favorite social media platform, one that projects a narrative of “in the moment” action and “freedom” and then allows those predators to see their location. This includes their school, day care, favorite clothing store, practice field, Movie Theater, and yes, your home. B4UClick has several recommendations for your family about using this update while still protecting your children and yourself. How to Get to Snap Map in the First Place: If you open up the snapchat application, make sure you are on the camera screen. The camera can be facing you or towards the other direction. You then pinch the screen, pulling your two fingers close together, until the map shows up. 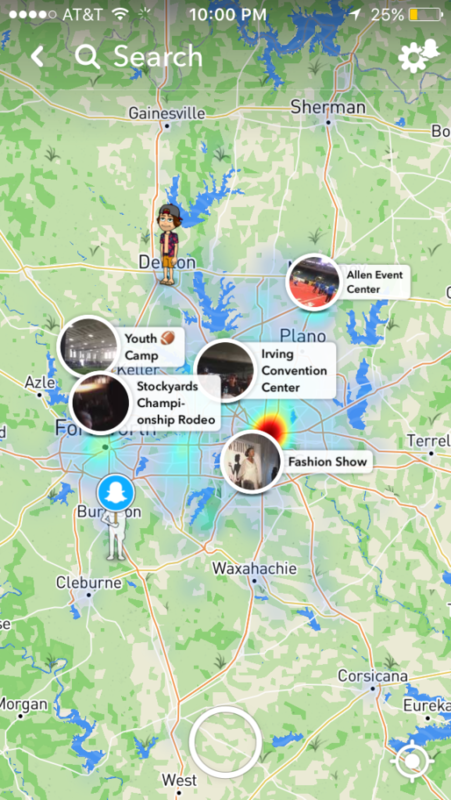 This is where you can view all of your Snapchat friend’s locations, and see where the local stories are taking place. The user will likely appear as a character similar to the one in the screenshot, with features indicating the user’s self-image. If your child has not set up their Snap Map, you may be able to choose their Location Services Settings immediately. If not, follow the instructions below. The Options: There will be three different privacy settings you can choose from while using Snap Map: Ghost Mode, My Friends, and Select Friends. My Friends: The first option allows any person on your friends list to see your location. This is only okay if you know every single one of your friends personally. If they are just acquaintances, then you should reconsider this option. Parents this is a great time to PERSONALLY go through all of your children’s friends to make sure they do not have strangers as their friends. Select Friends: The next privacy setting you can choose from is Select Friends. This personally allows you to select the friends you would like to share your location with. Parents, if you have Snapchat and would like your child to share their location with you, this is an option. To Become Casper, or, How to choose Ghost Mode: Return again to the camera screen. In the upper left hand corner will be the Snapchat Ghost logo, click on it. The Settings gear will then appear in the top right hand corner, once selected, scroll down to “See My Location.” We again suggest that Ghost Mode be put in place, with NO location being shared. However, should YOU wish to know where your child is, you can use Select Friends, and add yourself. After selecting Ghost Mode, the user should appear like the white figure in the screenshot, with the blue mask over its face. Congratulations, you’re now the local Friendly Ghost. Snap Chat offers safety advice and user friendly tips and tricks for the app, as well as a Parent Guide. 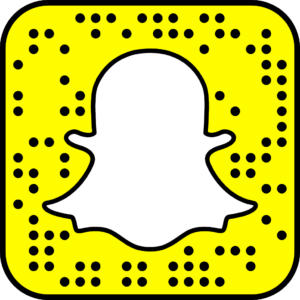 To view all of Snap Chat’s Official Safety Content, visit https://www.snapchat.com/safety. More videos and content await. B4UClick would remind parents that there is no replacement for present-parenting and checking on ALL your child’s internet usage. Be open. Be honest. Be there.